IN A VESAK INTERVIEW TO TIMES OF INDIA BANGALORE MAHABODHI SOCIETY SAYS A KANNADA TRIPITAKA IS BEING PRODUCED. 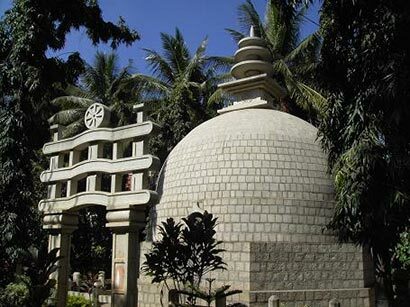 The Bangalore Mahabodhi Society is translating in parts the Pali Tripitaka into Kannada language said Bhante Ananda, the Secretary of the society in an interview conducted with the Sunday Times of India on the activities of the society in the event of the Vesak celebrations taking place in the city of Bangalore. He added,that The society has been conducting weekly meditation classes and Buddhism study classes. The society has published many books on Buddhism.